How to deal with nightmares, night terrors, and sleepwalking. Many children between the ages of three and five years experience bad dreams or nightmares that awaken them in the early morning hours and leave them frightened and upset. More rarely, preschoolers can experience night terrors or sleep-walking. What should parents do if these things occur? The first thing to do if your child is having a nightmare is provide reassurance. Hold your child close and tell her she is safe. Let her know that it was a bad dream and things in the dream cannot hurt her. Encourage your child to talk about the nightmare or fear, listen calmly and again provide reassurance and empathy. Then, help your child fall back to sleep; show her how to take some deep breaths and relax her body. Provide her with her favourite toy to cuddle, or a back rub, or leave on a nightlight. It is important for parents to take their child’s fear seriously. If he wants to talk about his nightmare the next day, again be calm and reassuring. For example, if your child is worried about ghosts, acknowledge that he must have felt scared, talk about the ghost, draw a picture, and discuss a different ending to the dream; this may make the experience less scary to your child. Nightmares usually decrease as kids get older. Create a bedtime routine so your child feels secure. 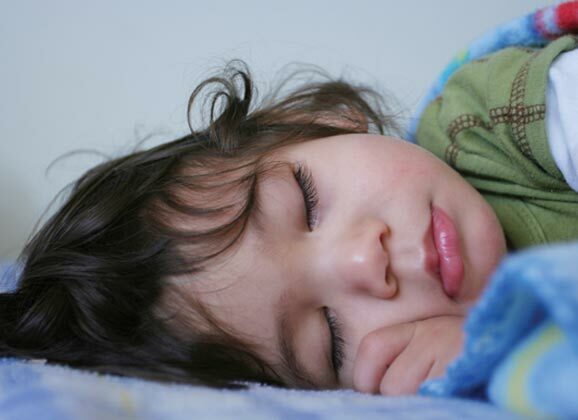 Preschoolers need to get about 12 hours of sleep each day, naps included. A nightly routine that may include a snack, bath, brushing teeth, and a story will help prepare your child to snuggle into his bed and sleep soundly. If there is a significant change in your child’s life, talk about it with her. For example, if your child is starting a new school, tell her what to expect and rehearse the situation: “When I take you to school tomorrow, the teacher will meet you and I will give you a hug and say goodbye.” After her first day, ask her how it went. Try to avoid scary stories or television programs, especially before bed. Night Terrors. These can be alarming for parents. Children experiencing night terrors will often scream, sit up or get out of bed, shake and breathe quickly, or flail their arms and legs about with eyes wide open in a glassy stare. Night terrors are not as common in preschool years, but can occur when a child is overtired, stressed or has a high fever. Night terrors usually occur a few hours after a child has fallen asleep, when he is in a deep sleep. They may also occur during naptime. Although your child may appear to be awake, he is not and probably will not respond to you if you try to soothe him. The most important thing to do for your child if she is experiencing a night terror is to keep her safe, away from stairs or objects she may bump into, and try to direct her back to bed. Reassure her and use a calm soothing voice, tell her you are there, that she is safe and that she should go back to bed. Try to hold her hand; however, if she resists don’t persist. Don’t try to wake her because she may become agitated. On average, night terrors can last from 10 to 30 minutes. Once your child does go back to sleep, he will probably wake up in the morning with no memory of what happened. Preschoolers may experience night terrors up to once a week, but they should diminish as your child gets older. Again, the best prevention is consistent bedtime and nightly routines so your child gets the sleep he needs. Sleep Walking. Sleepwalking is also rare in preschoolers. If it does occur, it is usually linked to being overtired, a poor sleep routine, illness or fever, medications, or in some cases, stress. Sleepwalking usually occurs early in the sleep cycle. Your child may get out of bed or sit up in bed and repeat movements like rubbing her eyes. She will not exhibit the screaming or increased breathing common in night terrors. A child who walks in his sleep is not awake; he may speak in a slurred speech, but probably will not answer if you talk to him. Don’t try to wake him up; it may cause him to become upset. Try to direct him back to bed. As with night terrors, it is important to ensure your child is safe; it may be necessary to use a baby gate. Your child will not likely remember what happened the next morning. Sleepwalking usually decreases as children get older. If you are worried about your child’s sleep disturbances, it is a good idea to talk to your health care professional. 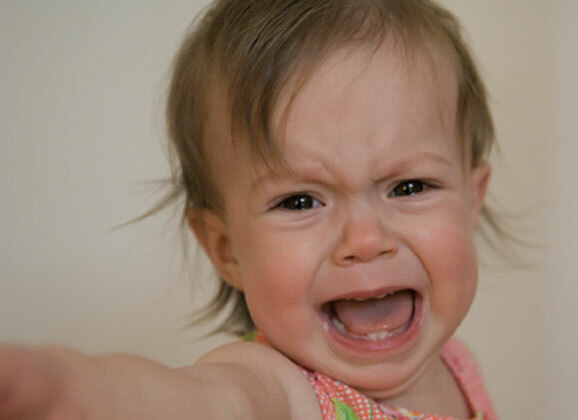 Getting Toddlers to Sleep Taming Tearful Goodbyes Toddlers and Tantrums Ready For Potty? Nancy Doherty is a registered Early Childhood Educator at the Peterborough Family Resource Centre.